Great fast paced 2 days of indoor hockey with 8 IC Men and 7 IC Womens teams playing a mini league and play offs for the finals on day 2. Sadly the Infantry and RAC/AAC were unable to enter teams this year. Overseen by TD Terry Lees and his umpires and officials keeping play in order making sure a great and enjoyable tournament was had by all. Congratulations The Royal Logistic Corps Men on winning the Army Hockey Association Inter Corps Indoor Competition beating Royal Corps of Signals 3 – 2. 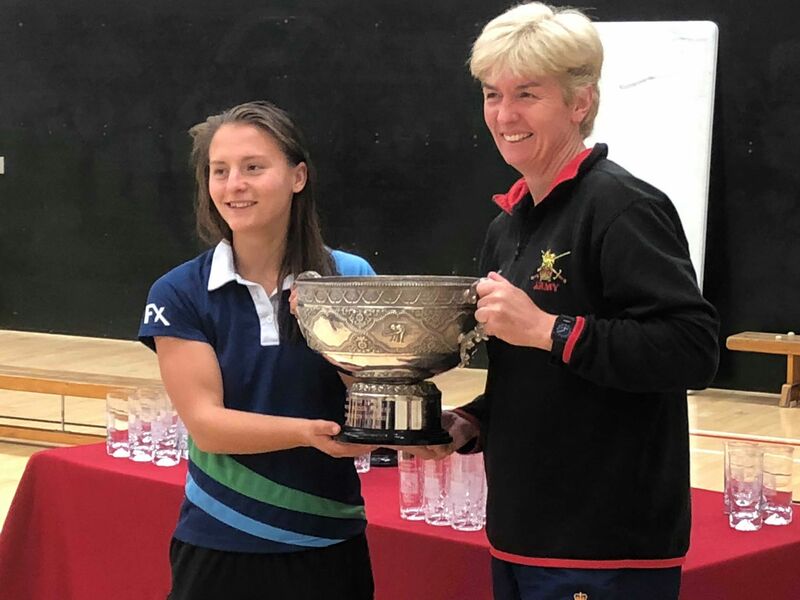 Congratulations to Royal Corps of Signals Women on winning the Army Hockey Association Inter Corps Indoor Competition beating AGC Adjutant General’s Corps 5 – 2 And received the newly assigned trophy for the Women.